This morning, I was off for a walk at the Punta Gorda Nature Park which isn’t much more than a mile or so long path around Fire Station #3 and the water plant for Punta Gorda Isles. Still, it is a pleasant place with a lot of small wildlife. It wasn’t too active when I got there. It is a preferred place for joggers and they tend to scare off the bigger wildlife as they trot. This is wildflower season though, so I put the 105mm Micro-Nikkor on the D300, stuck my SB-800 in my pocket and started my walk. I quickly discovered that the flash batteries were pretty much dead and recycle times were unacceptable. I didn’t have any spares with me so I put the compact SB-400 on the camera instead. 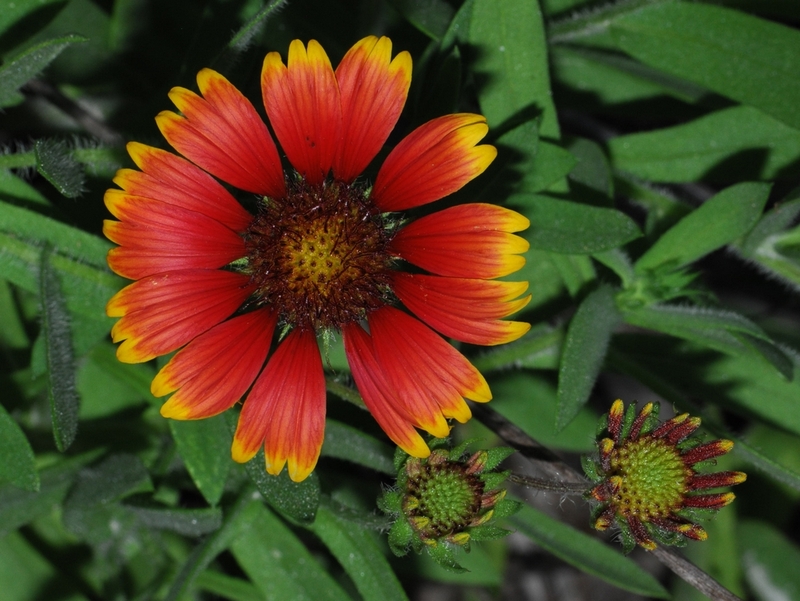 Here are a couple of Indian Blanket flowers – Gaillardia pulchella. Folks up north have to buy these for their gardens. 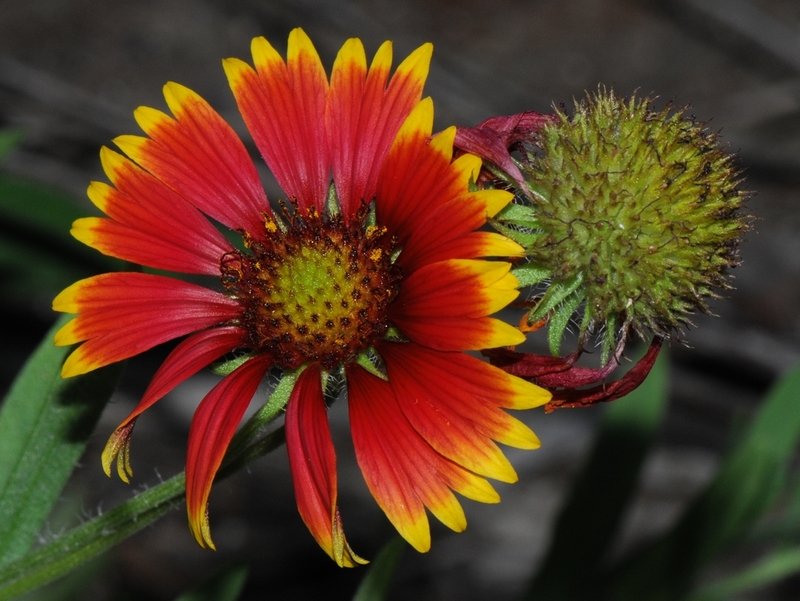 The one on the left has some new buds at lower left while the one on the right has a fully mature head next to it which will soon dry out and drop seeds. 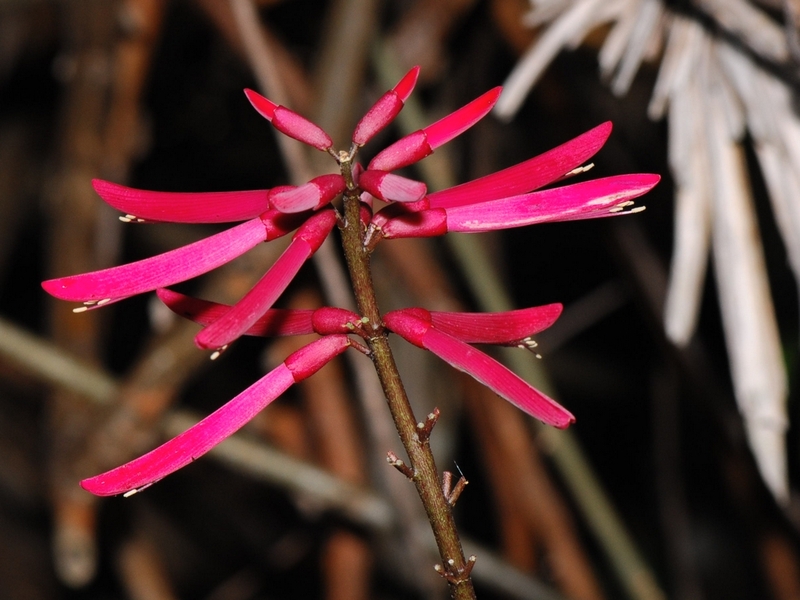 Another brilliant wildflower is the Coral Bean Plant – Erythrina herbacea which has bright red flowers which ultimately produce bright red beans as seeds. 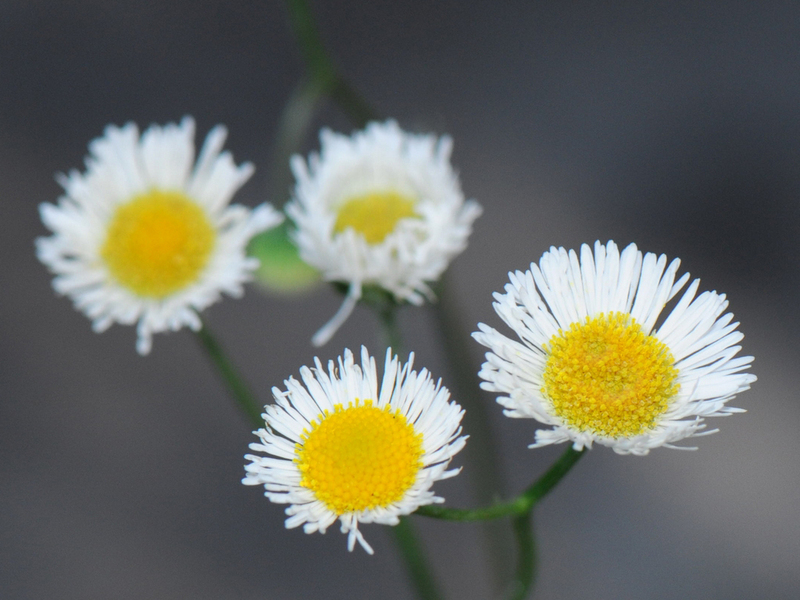 In addition to the pretty red flowers the whites were also abundant. 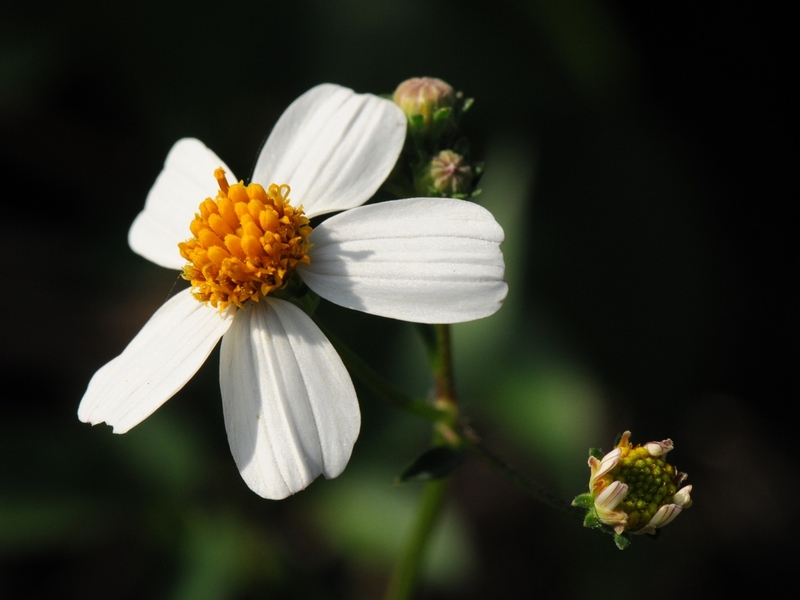 Here is a pretty Spanish needles – Bidens Alba and a cluster of small asters. But flowers weren’t the only thing out. 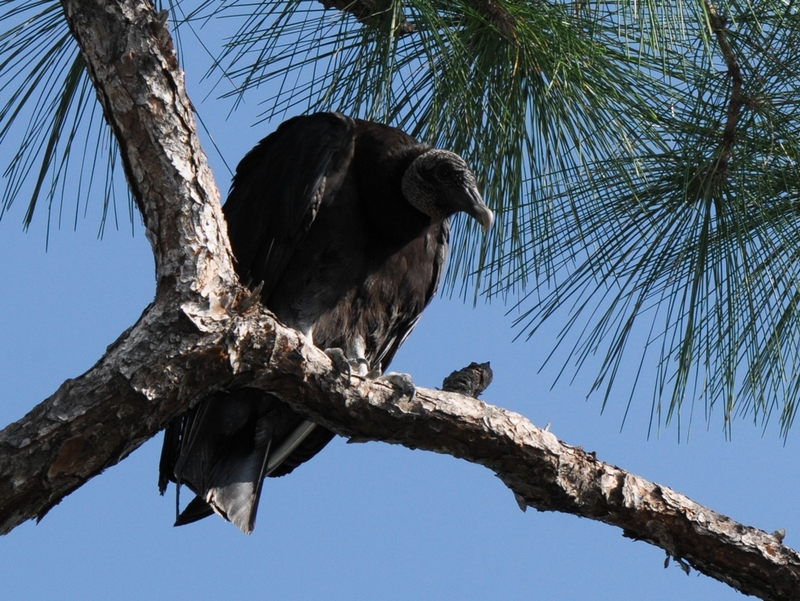 As I walked the path I noticed a Black Vulture up in a pine tree. Taking pictures of pure black or white birds isn’t easy but, since it was there I decided to try for a shot. I quickly found that the shadows were harsh and it was difficult to pull any detail from the shadow areas which of course included the head. Even though I used the flash on this one to try and get some fill light, the SB-400 just wasn’t strong enough to do the job. It had worked well on the flowers though. The SB-800 flash would have worked very well but without batteries, it was just a weight in the bag. So, the moral is always check your batteries, even if you are just going for a walk. One problem using the SB-400 instead of the SB-800 was the lack of the TTL-FP function in the SB-400. I was not able to control the background detail because the flash limited me to a highest shutter speed of 1/320 second. This in turn creates problems in controlling the effect of bright sunlight as ambient light. The TTL-FP capability of the higher end Nikon Speedlights make them a better choice for closeup work. This entry was posted in Bird, Camera Gear, Park, Wildflower and tagged Black vulture, Macro, Micro-Nikkor 105mm f2.8 VR, Photography, Punta Gorda Nature Park, SB-400, SB-800, wildflower. Bookmark the permalink. 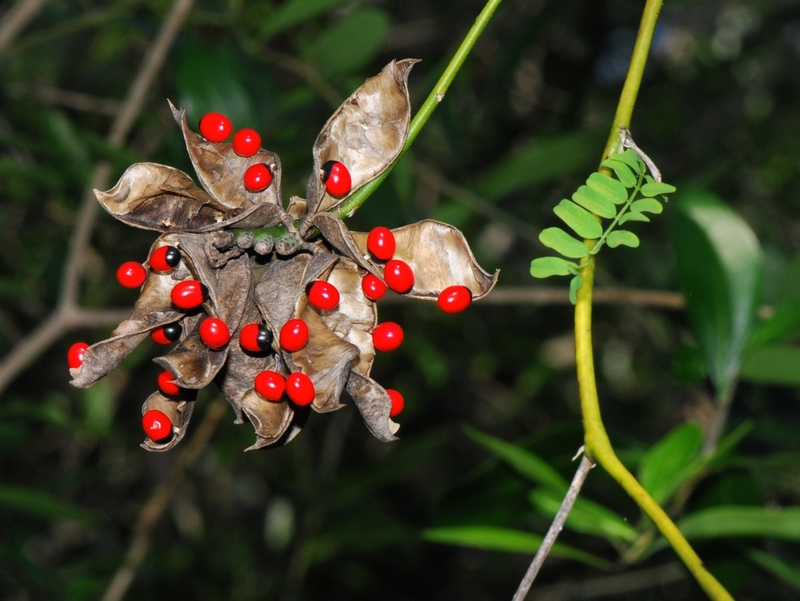 Red seeds right of Coral Bean Plant flower is Balsam Pear , a vine with yellow flowers. Coral bean seeds look like it but are in long green bean looking pods.